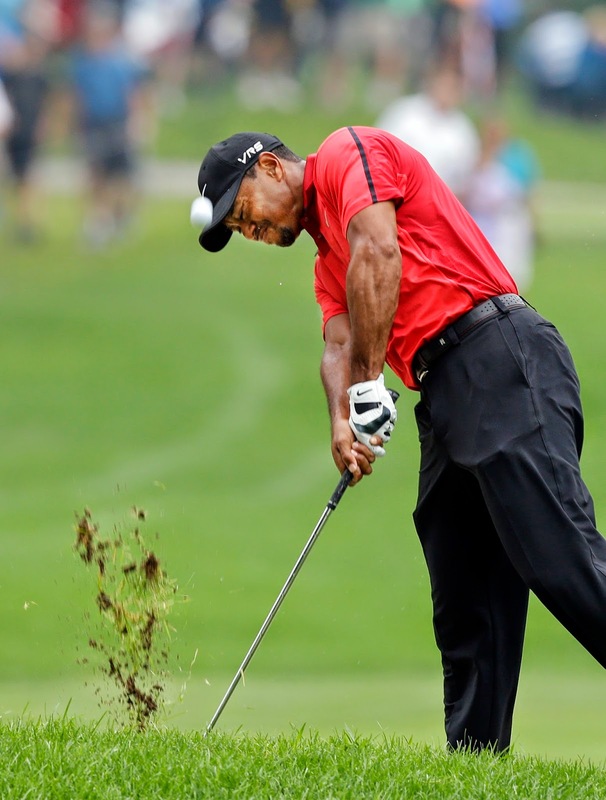 When Tiger Woods limped off the course Sunday, making his appearance in the upcoming PGA Championship seem very unlikely, I winced. It was the last thing golf needed. I'm a baseball, football, basketball, hockey person. Golf would be next in interest. My father loved golf. He taught me how to grip the club and play when I was a kid. The best moments I had with him before he passed were on the golf course - on those nine-hole public courses in Birmingham. I haven't played golf in a long time, sadly even in the later years of my father's life. I just don't have time. It was hard enough when I was a beat writer and single, but now that I'm married and also working in radio, I just can't. I'm not alone. Many of you reading this have the same issue. According to an HBO Real Sports report, a golf course closes every 48 hours in this country. It's also not the easiest game to learn and they are coming up with novel ideals to help it - 15-inch cups, foot golf with a soccer ball, a microchip in a golf ball that presents a score at the driving range, etc. But more than anything, golf needs charismatic figures that draw people toward the game. Tiger, before his injuries and martial infidelity, was that figure. Problem then, he was alone. Nobody challenged him. A genuine rivalry would have been even better. But the "problem" is now a crisis. What is golf without Tiger Woods at the top of his game? On the back burner and evaporating quickly. Pat, well said. I read an interesting article in Golf Magazine in which Hal Sutton, as the players rep on the PGA Golf Committee, said that the PGA Tour was really setting themselves up by setting up all courses in his heyday so that it optimized the Tigers wins. He was the big hitter and they set up courses long. He correctly predicted that the PGA Tour was making a big mistake allowing Tiger to win and win. He noted that when Tiger faltered either by injury or old age, that the Tour was in trouble. Done, it did. Hal said that his comments fell on deaf ears. Golf is in big trouble because the young kids just don't want to spend 5 hours playing golf. Pat, PGA put on their eggs in one basket call Tiger Woods. His character turn a lot people off. Tiger was like a kid in a candy store and he lost control. The worst is he a real cheapskate. Tiger made his life all about him. Just wonder the golfers around the country are getting too old to play and that is why golf courses are closing up. I thought golf was a cycle anyway. Barry is exactly right, I play with retirees and they are falling like flies with orthopedic injuries like hips, knees shoulders. You combine the older avid golfers having to quit and the younger golfers not coming into the game and it spells disaster for the golf game. Also golf is a very difficult game to play. One needs to practice and play to get halfway decent. Golf does not provide instant gratification. Kids don't like that. Also it is way too time-consuming. Golf is going on the train that tennis went trough when Conners and MacEnroe quit.